Farms of the future may not be located miles away, but instead, right next to our offices, homes, and schools. 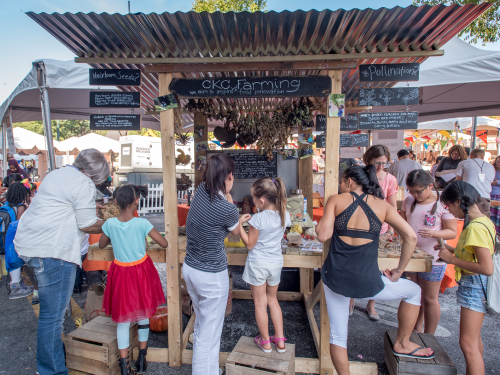 The Charles Koiner Center for Urban Farming works with the local community to build and manage urban farms, and to educate and inspire the next generation of sustainable food innovators. We asked Medina to share more about her experience, and to give us a preview of what we can expect from CKC Farming at this year’s festival. How did you get involved with KIDfest last year? 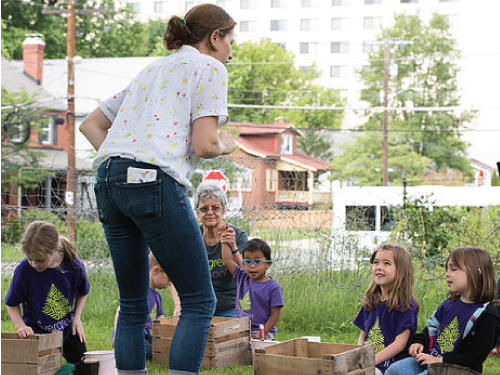 I met KID Museum’s Founder, Cara Lesser, for coffee one morning and shared a simple story with her about buying vegetables and why the grocery system wasn’t working for me, and what I intended to do about it. A few months later Cara reached out and asked if I would share my story as part of KIDfest’s KIDtalks series. What did you exhibit last year at KIDfest, and what are you planning to exhibit this year? Last year our exhibit was on seed saving. This year we are doing a painting project in which kids get to make their own paints from flower petals. What did you enjoy most about KIDfest? The attendees for sure. Everyone who comes to KIDfest truly embraces their inner explorer. It’s really inspiring to see kids (and adults) working with materials that they may have never even seen before. The freedom and confidence to try new things is just contagious at KIDfest. What motivated you to participate in KIDfest again this year? CKC Farming was the only farm represented among the exhibitors last year. I’m not sure who will be there this year, but we feel that it is really important that nature – the ultimate inventor – is represented. What are you looking forward to this year at KIDfest? I’m excited to meet new people, listen to new ideas, and see the final masterpiece that will be created by the participants and their flower petal paints. Like KID Museum, CKC Farming values hands-on, STEM education as a path to the future. As an organization that both engages and gives back to the community, KID Museum is proud to partner with CKC Farming for KIDfest 2018. Interested in becoming an exhibitor or sponsor at this year’s festival? Learn more at kidfest.org.